Sat 27th April - Carndonagh CS Golf Classic on The Old Links. Sun 28th April -Members Confined on Glashedy Links. 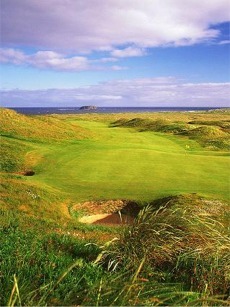 Sat 18th May - Malin Head Community Golf Classic on The Old Links. Every Friday - Members & guests 9 hole scramble from 5 pm. Officers teeing off; Mr Captain, Des Kemmy, Mr President Fr Jim McGonagle, Lady Captain, Gerardine McLaughlin & Lady President Susan McGonagle. 1st W Joyce (12), A McEleney (8), S McLaughlin (13) D Toland (16). 57.1 pts. 2nd J McGeoghegan (22), M Mathews (31), M O’Mahoney (11), P Walsh (20), 57.6 pts. 3rd D Crumlish (20), G McGlinchey (19), N Gordon (18), C Doherty (4). 58.9 pts. 1st Declan Ferry (5) 42 pts. Gross Brendan Devlin (0) 37 gr pts. Back 9 Martin McConalogue (17) 23 pts. 1st Tommy Logue, (18) 43 pts. 2nd Niall McLaughlin (H) (21) 43 pts. 3rd Anthony McEleney (9) 41 pts. Gross Kealan Quigg (1) 36 gr pts. 4th Martin O’Connor (17) 41 pts. 0-18 1st Mary McGeoghan 17 pts. 0-18 2nd Breda McGonigle 16 pts. 19-28 1st Theresa McLaughlin (JB) 21 pts. (bot). 29+ 1st Maire Mathews 23 pts. 29+ 2nd Anita McCarron 21 pts. 1st Anita McCarron 20 pts. 2nd Joan Doherty 17 pts. 1st Marie Gough 37 pts. 2nd Molly McCloskey 36 pts. Gross Mary McGeoghan 21 pts. Back 9 Theresa McLaughlin (jb) 20 pts.